We use state-of-the-art equipment and machinery in our processing activities. 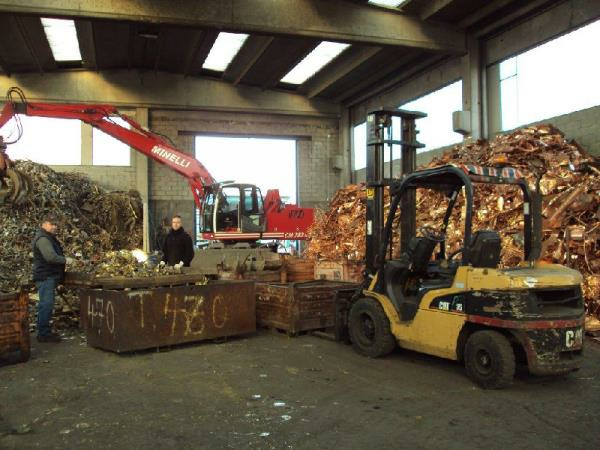 Our scrap metal undergoes constant safety controls to ensure that it complies with required standards. We keep a close eye on the latest innovations in the industry, and select equipment and technologies that enable us to carry out our work to the highest standards. Our use of technology throughout our production cycle means that we can promise our customers a service that is state-of-the-art. We are committed to carrying out our activities with respect for the environment and for health and safety in the workplace - to this end, we fully comply with all industry regulations and legal requirements. Our company ethos of responsibility translates into an efficient and effective service for our customers.